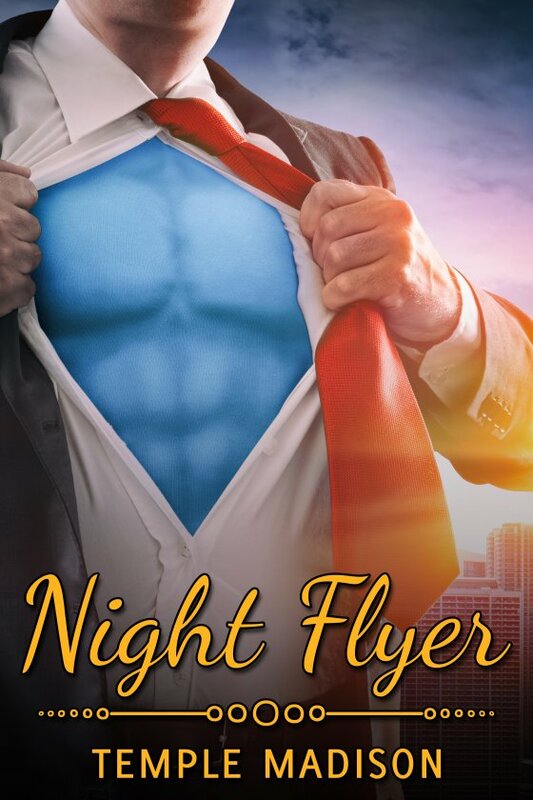 Night Flyer by Temple Madison is now available! Gabe Wesley recalls only three good memories while growing up: the superhero comics cluttering his room, drawings hanging on his wall for inspiration, and the view from his windowsill during electrical storms. These memories fuel his dreams about flying through the sky and saving the world from evil. When Gabe grows up, he’s the hotshot pilot of a sleek plane called Night Flyer. One night while surrounded by a group of gay bashers, he’s touched by the finger of God. From that experience, he slowly evolves into the one thing he’s been dreaming of all his life — a superhero. Then Deuce Gannon comes into his life. He’s as different from Gabe as night is from day. When these two men meet, their lives are turned upside down.